Woohoo, October! You know what that means? It means I’m going to Disney World! When I come back I’ll have tons of stuff to blog about – the Halloween Party, Food and Wine, and Tower of Terror 10 miler. I’ll also be there for the last day Maelstrom is open. What are you most interested in hearing about when I get back? Since the Tower of Terror 10 miler is this weekend, my countdown and training is done! But I’ll only have a week or two before I start training for the Glass Slipper Challenge, which I’m a bit nervous about – first of all for running in the winter and second of all because it’s a 10k on Saturday and a half marathon (my first) on Sunday. We’ll see how it goes! 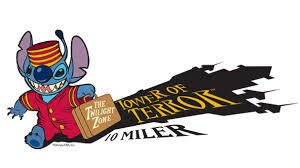 I also took part in a Tower of Terror 10 miler Virtual Blog Hop, so if you’re looking for info on the race there are lots of great blog posts there! As I mentioned above, I’ll be coming back with plenty to write about from my travels. Plus I’m hoping to get out some fall/Halloween posts in October. If you have ideas or want to contribute, please email me at disneyinyourday@gmail.com! 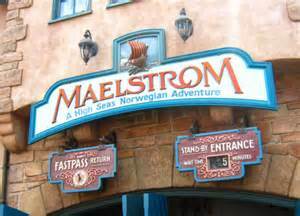 In what is probably some of the biggest Disney Parks news in awhile, Disney officially announced that they would be closing down Maelstrom in Epcot’s Norway to make way for a new Frozen attraction. There has been a lot of strong reactions on this – I personally would like to see a Frozen ride, but Norway is definitely not the place for it. What do you think? Maelstrom isn’t the only thing that’s closing. In slightly less surprising news, Backlot Tours at Hollywood Studios saw its final day this past Saturday. The newest edition of Disney Infinity has been released, featuring Marvel characters. Have you played it yet? Really? A woman is suing Disney, claiming that the story for Frozen was copied from her own autobiography. 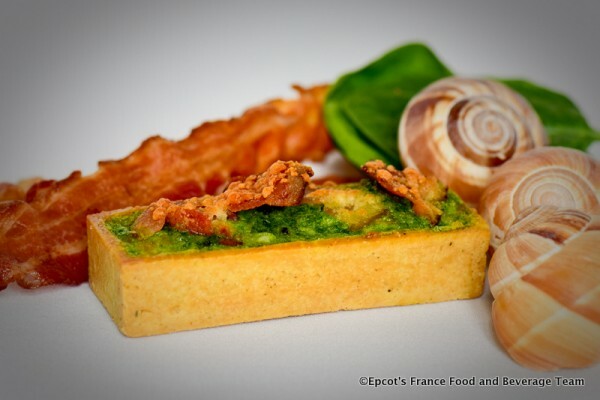 I’ve been obsessed with reading about Food and Wine, and the Disney Food Blog has tons of good stuff. One of the booths I’m most excited about visiting is France! This article that Dis Dining posted about 5 secrets on the Haunted Mansion was interesting, but I’m especially excited about the possibility of a ride photo at the end of this attraction! One of the things I’m always dying to know before a Disney race is what characters will be out there. Disney doesn’t officially provide this information, but some blogs have lists of who has been out in the past – check out Run, Walk, Fastpass, Repeat for Princess Half Marathon characters, and Maker Mother Marathon Runner for Tower of Terror 10 miler characters. If you know of more blog posts with characters for other races, let me know! For photographers, Capturing the Magic has a great article on whether or not you should take your SLR to Disney with you. I bring it sometimes, but I won’t for this upcoming trip! This entry was posted in Disney World, Epcot, Hollywood Studios, Monthly Roundup and tagged Backlot Tours, Disney Infinity, Disney World, Epcot, Food, Food and Wine, Frozen, Haunted Mansion, Hollywood Studios, Maelstrom, photography, Tower of Terror 10 miler. Bookmark the permalink. I should come to Disney to say hi, lol.